DECLARE YOUR COMMITMENT! 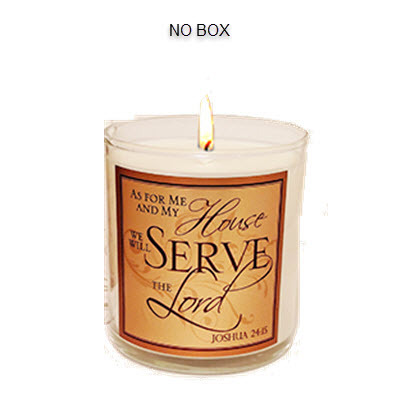 The fabulous CEDAR fragrance, which represents the strength and permanence of the House of the Lord, is the perfect Biblical scent for this glass container candle with the Scripture: " As for me and my House we will Serve the Lord".. (Joshua 24:15) . Hand-poured in Abba's facility with our eco-friendly soy blend, this candle will burn approximately 26-30 hrs. with 8.7 oz by volume. Container can be used with votives or tealights for continued delight.